A global leader in aircraft modification and installation reaches an industry benchmark by installing, on average, 70 in-flight connectivity packagers per month while operating in four global regions including North America, Europe, Asia and the Middle East. Melbourne, Fla., November 28, 2018 – In today’s hyper-connected world, airline passengers have grown to expect high-speed Internet connection on every flight. The trouble is, the aerospace industry is still playing catch up and trying to fuel this demand with modern solutions. According to a recent study, approximately 43% of aircraft in service globally offer passengers the ability to connect to the Internet in some way, shape or form, but thanks to the recent work of companies like STS Mod Center and STS AeroMod, the dream of high-speed, in-flight connectivity for everyone is moving closer to global reality. Low TAT’s and rapid product rollout is what it’s all about for STS, and customers all over the world are starting to take notice. From staffing your team so it can get the project done right and at an affordable price, to providing certified aircraft and engine parts so you can get off the ground and back in the sky, STS Aviation Group continues to be a one-stop servicing center for all of your company’s workforce management, aircraft engineering, line maintenance, aircraft parts, hose manufacturing, ground support equipment, aircraft repair, and aircraft modification requirements. 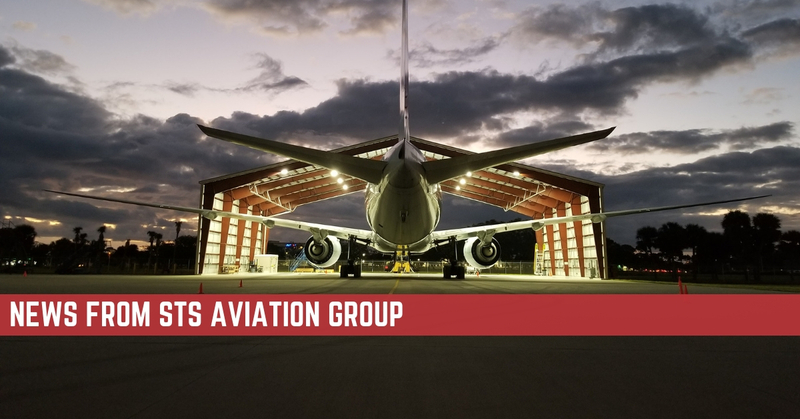 To learn more about STS Aviation Group and what makes us the company with “Solutions to Keep You Flying,” please visit www.stsaviationgroup.com or call 1-800-800-2400.